Nothing better than a bright sunny day floating around in the lazy river at Typhoon Lagoon! 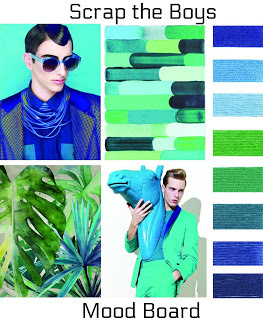 I chose these colors for the moodboard challenge from Scrap the Boys. I fussy cut some patterned papers and added some buttons. I thought the fishes would be a funny addition. My "boys" had a great time! Lovely page! I like all that sweet fishes! Thanks for joining us at STB! Such a fresh and fun page. Thanks for joining us at STB! Love the waves you made with the paper! Thanks for joining us at STB! This layout is so much fun, I love the waves. Thanks for joining us at STB. Beautiful page with lovely details. Thanks for joining us at STB.